It is a straw for drinking yerba mate. Usually they are made from metal, but sometimes can be made from bamboo. The straw has a filter at the end – usually in the form of small holes but can also be slashes or a spring. It is placed in the mate cup or gourd that is full of yerba leaves, and once hot water is added to the infusion, the resulting brew is sipped through the straw. The filter separated the yerba leaves from the infusion. Some bombillas can be taken apart – there may be a type of clip or clasp to release the end, or maybe a screw. However most cannot be taken apart as the entire item is either made from a single piece of bamboo, or is all welded together like this one. Ensure the bombilla is put together again properly. In between use, it is good practice to ensure it is cleaned and stored dry which will prevent tarnishing. 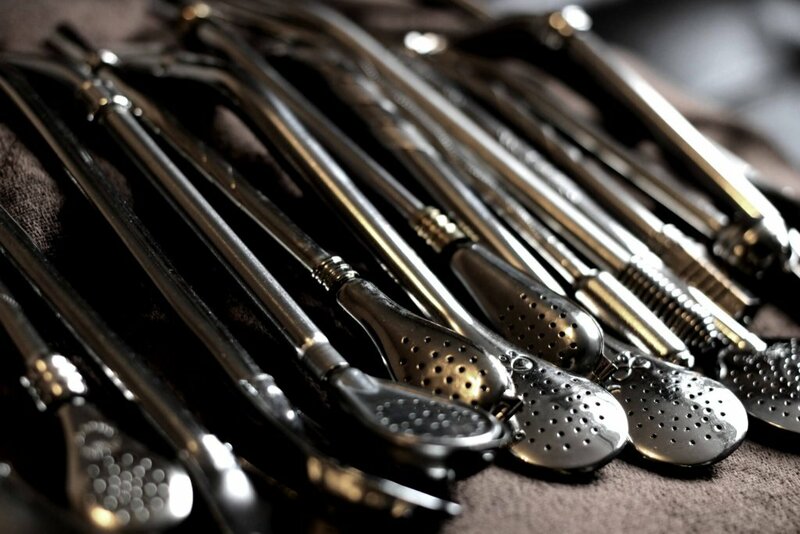 If your bombilla is not made of stainless steel or a non-oxidising alloy, keeping it dry will also prevent rust. This entry was posted in Yerba Mate Article and tagged Accessories, Bombilla, Instructions, yerba mate.